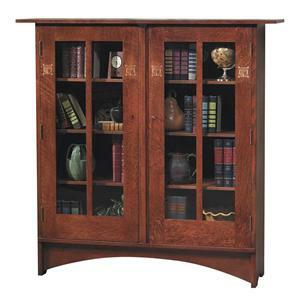 Feature this American classic in any room of your home for display and storage purposes. 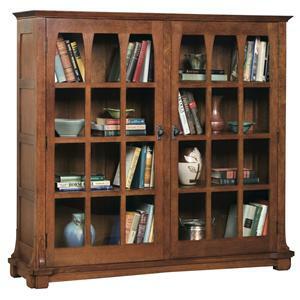 Designed in the Arts and Crafts or Mission style of the twentieth century, this bookcase is designed to be opened with a key and features eight fully adjustable shelves behind two paned glass doors. 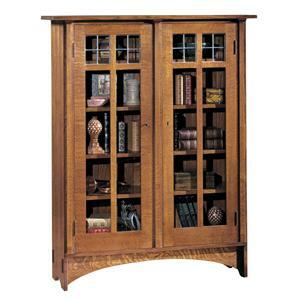 The Oak Mission Classics Double Door Bookcase with 8 Shelves by Stickley at Stuckey Furniture in the Mt. Pleasant and Stuckey, South Carolina area. Product availability may vary. Contact us for the most current availability on this product. 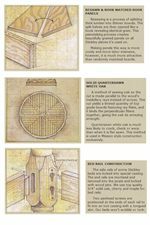 Finish & Paint Options Finishing process entails a complex series of color applications using clear dyes rather than opaque pigments. Various stains are applied by hand. Hand rubbing creates levels of sheen specific to the finish that you choose. Handles & Hardware Dark-colored solid cast copper except where otherwise noted. Drawer / Shelf Construction Side hung and center guided drawers for guaranteed proper drawer allignment. Center guides keep drawers from skewing sideways. Suspension on side guides keeps drawers level when heavily loaded. One can literally stand in a Stickley drawer. Drawer Suspension Side hung and center guided drawers for guaranteed proper drawer allignment. Center guides keep drawers from skewing sideways. Customizable Options Seven different wood finishes. Upholstery and tile accents are also customizable on select pieces. 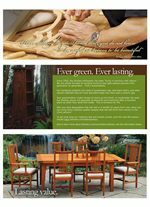 The Stickley Mission Oak Collection represents a treasure of prize designs, new and reissued, for the homeowner who shares in a genuine respect for furniture craftsmanship. Rooted in a deep love of the heritage of America’s Arts & Crafts movement, these cherished pieces bring warmth and beauty to your home. 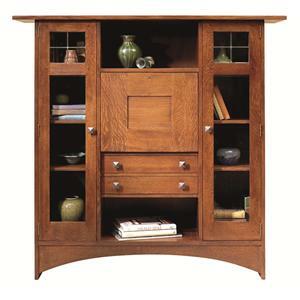 Clean lines and pureness of function make the Stickley Mission Collection truly timeless, and the look is as appropriate in today's homes as it was over a century ago. 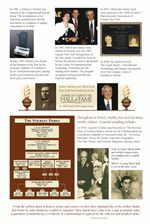 Painstakingly handcrafted, unrivaled in durability, comfort, and beauty, Stickley Mission oak furnishings are handcrafted art, built to last for generations. All casegoods and upholstered pieces in this collection feature Oak wood solids and the finest construction. Those from the Harvey Ellis sub-category feature unique inlay patterns consisting of English sycamore, maple, cherry, makore, magnolia and bird’s eye maple. 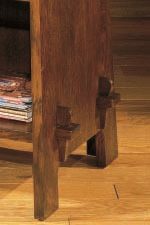 Such decorative touches were rare in the Arts & Crafts realm and, along with Stickley’s unmatched construction features, set these treasures apart as a very special addition to any living area. 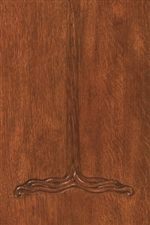 In addition to offering the finest quality solid wood construction, the Stickley Mission Oak Collection allows you to customize by selecting from seven different finishes, from the amber brown tones of Fayetteville to the hand-distressed and antiqued dark brown tones of Oak Park. Every piece is truly original and lovingly crafted, bearing the proud initials of the person who constructed it by hand. 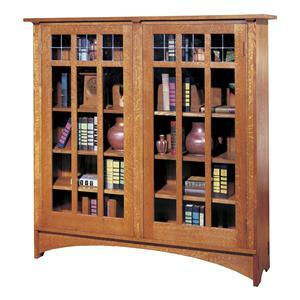 As an additional feature, secret compartments have been crafted into many of the Stickley pieces. These pieces include a tag with instructions for locating and operating the secret compartment. 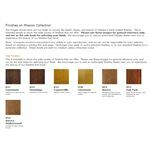 The Oak Mission Classics collection is a great option if you are looking for Mission furniture in the Mt. Pleasant and Stuckey, South Carolina area. 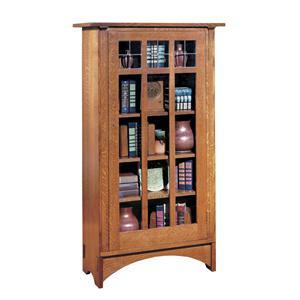 Browse other items in the Oak Mission Classics collection from Stuckey Furniture in the Mt. Pleasant and Stuckey, South Carolina area.